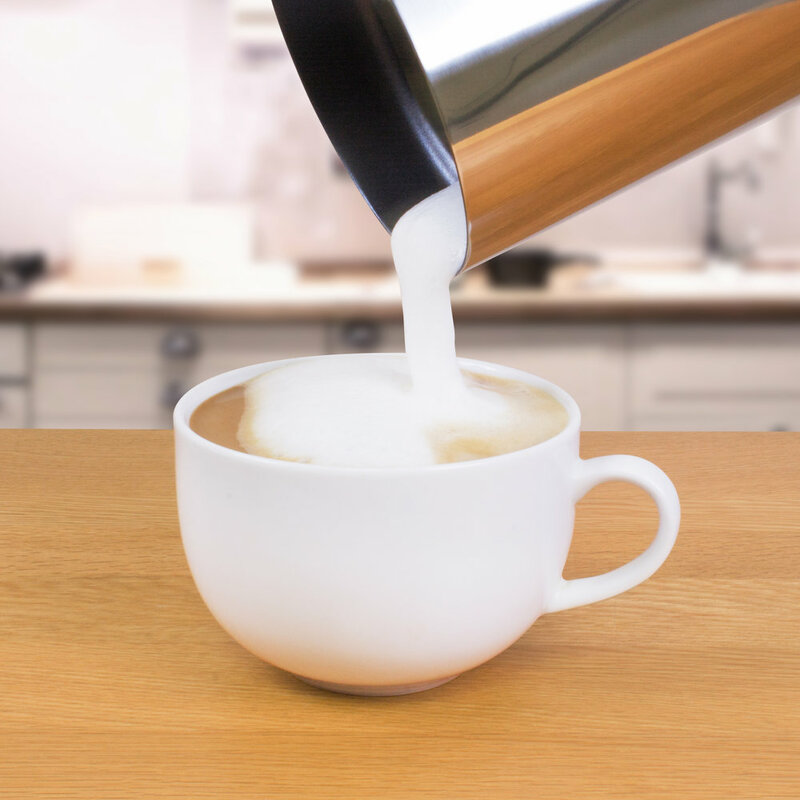 Stylish and easy to use, the Quest Automatic Milk Frother is perfect for adding warm frothy milk to your favourite drinks - Cappuccinos, lattes, coffee, hot chocolate & more! This powerful 650W double wall stainless steel Electric Milk Frother is perfect for adding warm frothy milk to your favourite drinks! 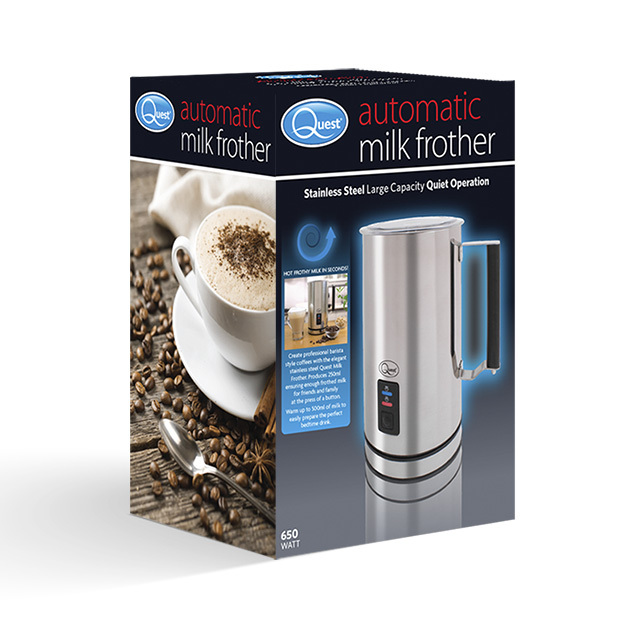 Hot frothy milk in seconds! 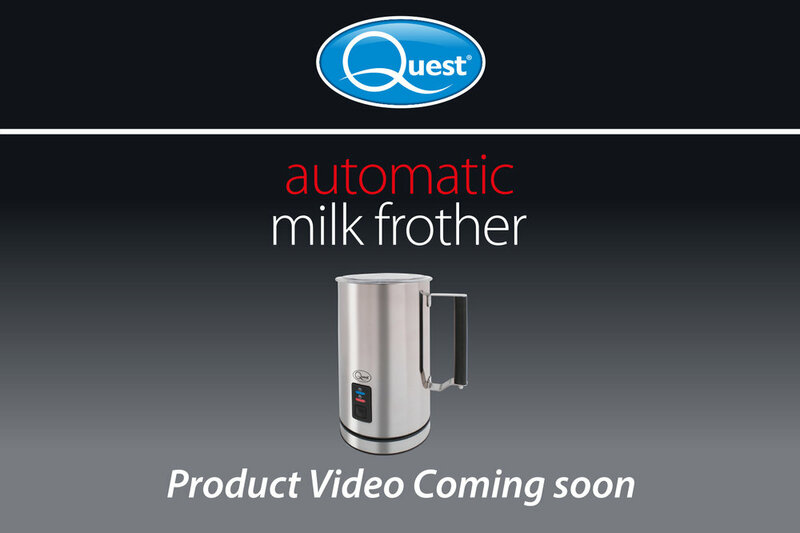 Produces 250ml ensuring enough frothed milk for friends and family at the press of a button. Warm up to 500ml of milk to easily prepare the perfect bedtime drinks. Non-stick coating interior is designed for easy cleaning. 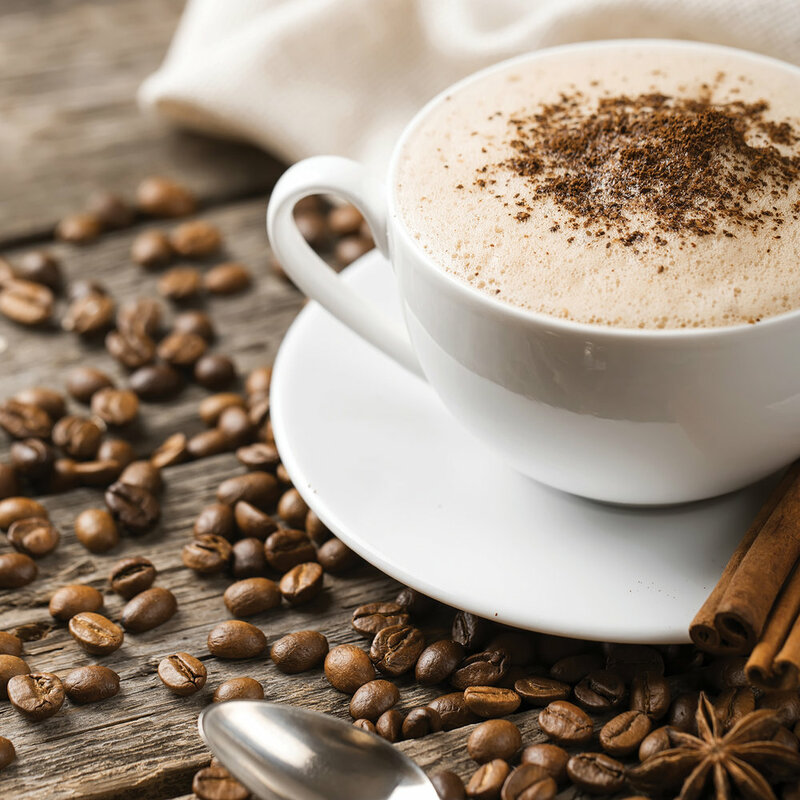 Cappuccinos, lattes, coffee, hot chocolates & more! Create professional barista style coffee with the elegant stainless steel Quest Electric Milk Frother. The hardest decision is what drink to make first, cappuccino, latte, hot chocolate, the choice is yours.